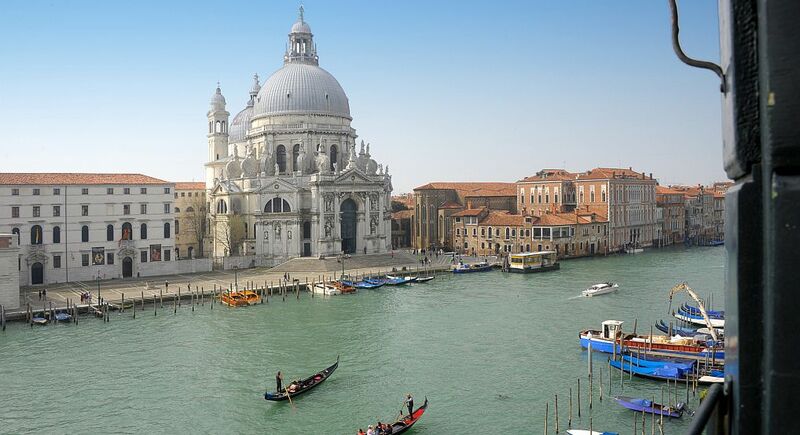 … Santa Maria della Salute, built in the 17th century to commemorate the end of the plague. 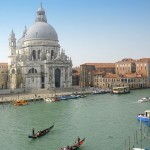 Salute is Italian word for health. 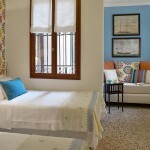 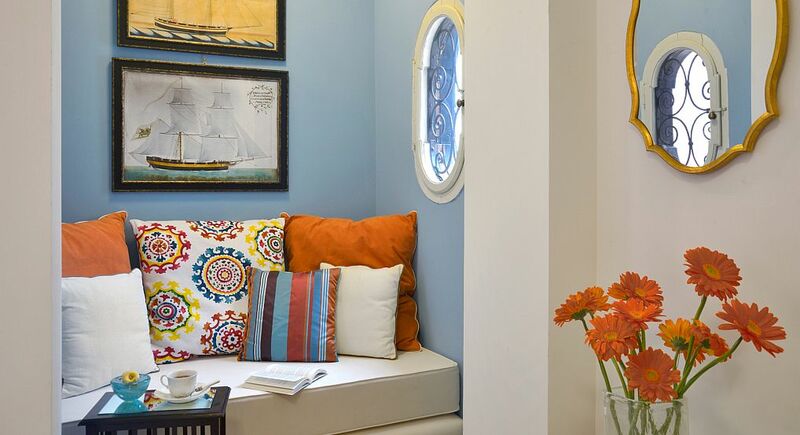 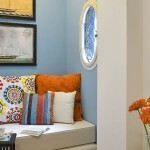 The twin bedroom, with a sky blue alcove. 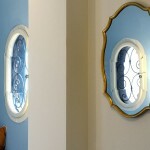 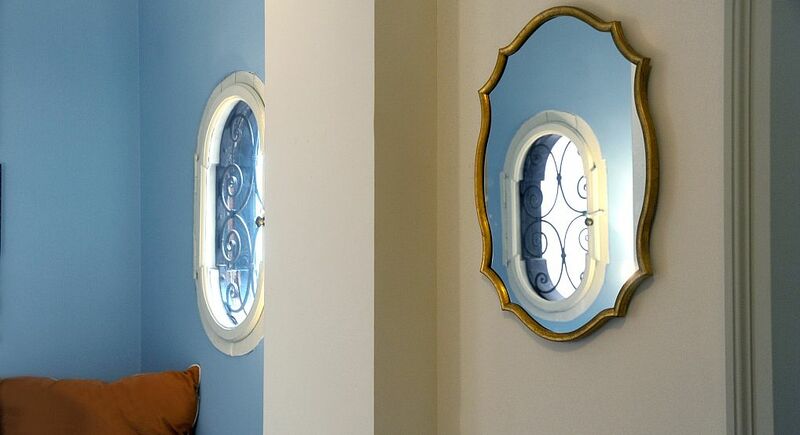 The blue is inspired by the skies in 18th century paintings of Venice. 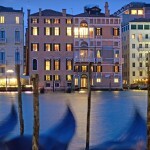 The ships are drawings of the fleet that belonged to the Treves family who have owned the Palazzo for the last 200 years. 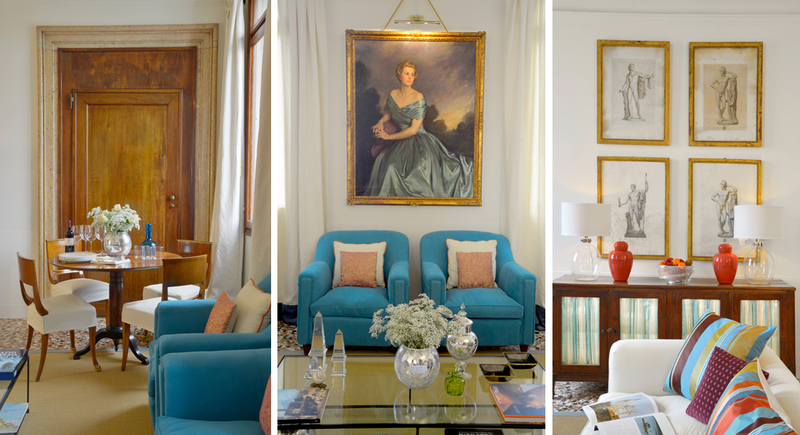 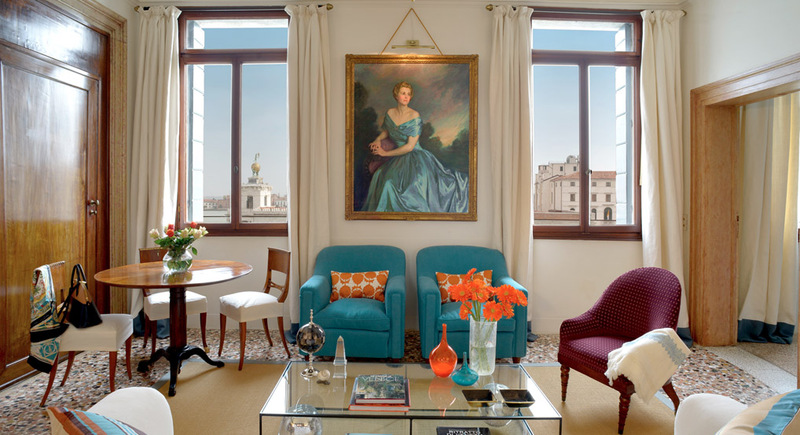 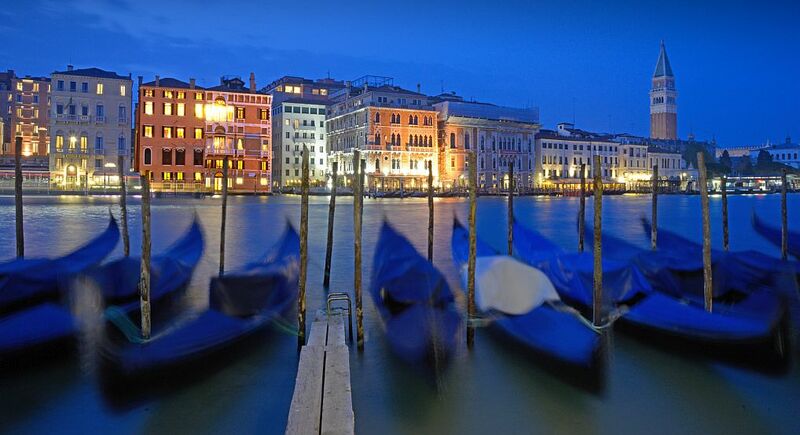 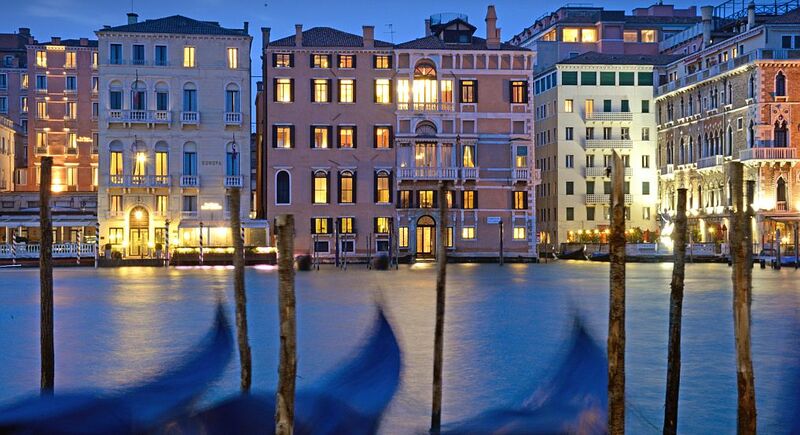 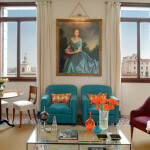 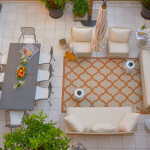 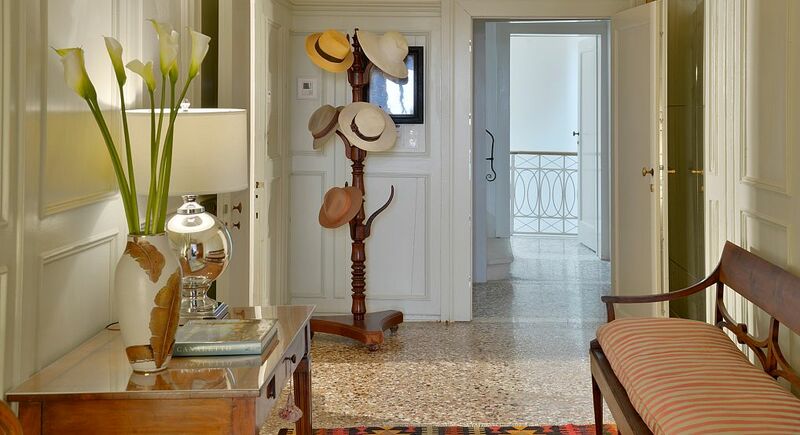 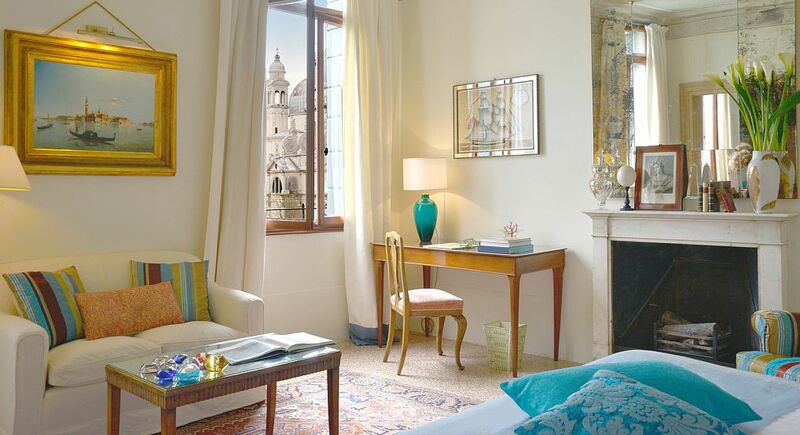 A private palazzo with views over Venice’s Grand Canal and the legendary Venetian Lagoon, within a stone’s throw of the glorious Piazza San Marco. 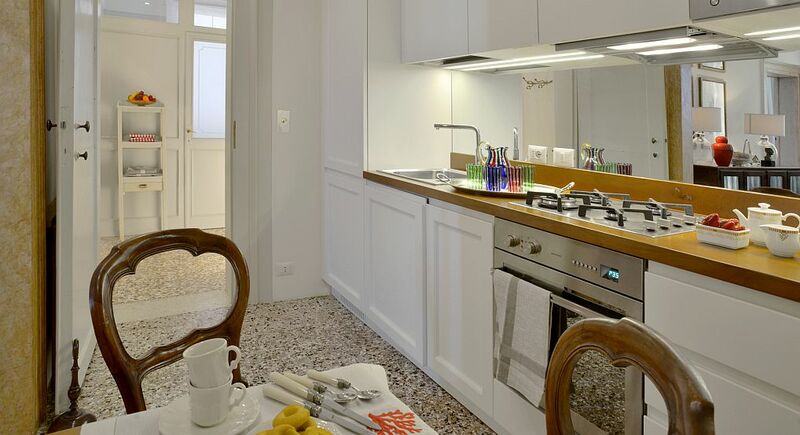 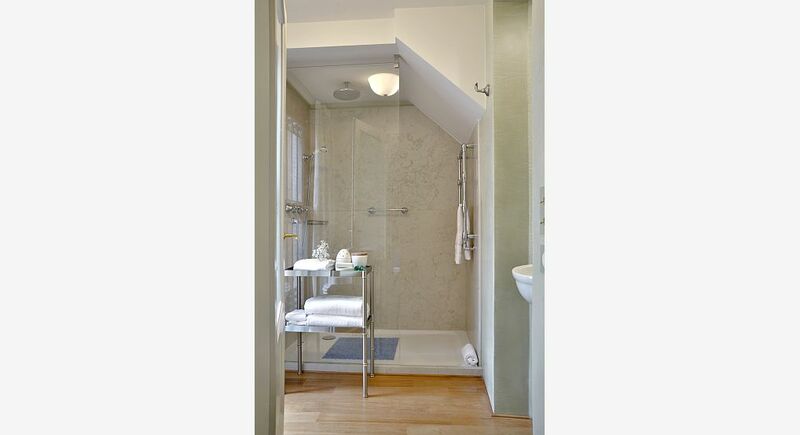 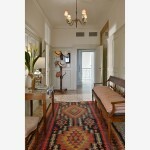 That is where the luxuriously appointed 2 bedroom apartment Borsato is located. 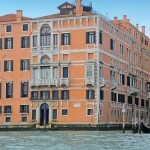 The apartment Borsato lies on the third floor (4th American floor) of the Palazzo. 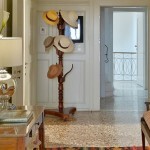 It is reached by a newly added elevator. 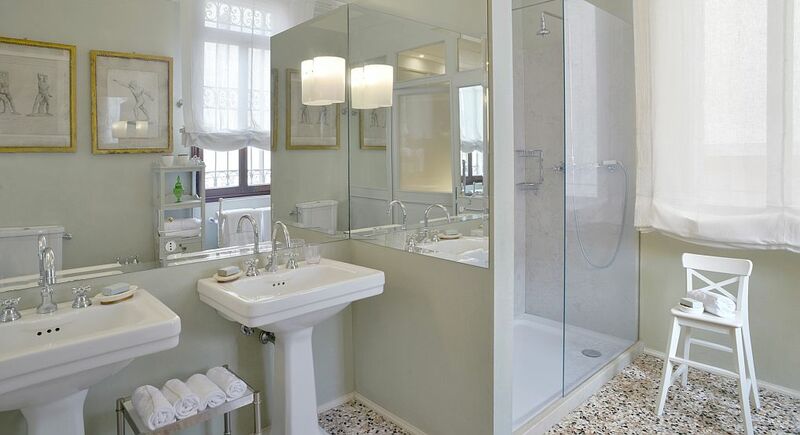 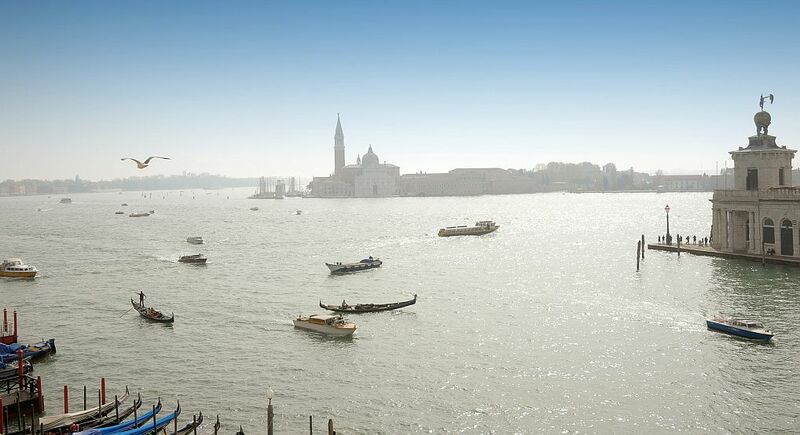 The location is exceptional: at the mouth of Venice’s Grand Canal, opposite the Santa Maria della Salute basilica and the Punta della Dogana museum – where the Pinault contemporary art collection can be seen, – and within a stone’s throw of the glorious Piazza San Marco. 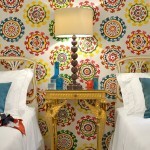 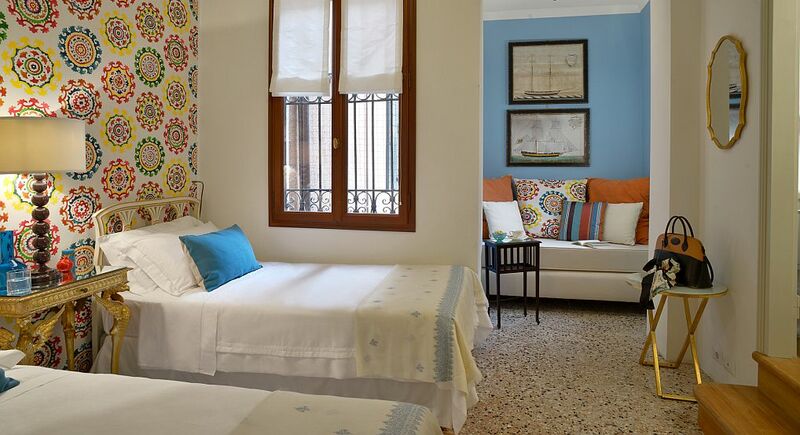 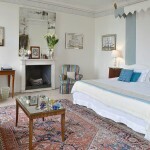 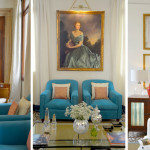 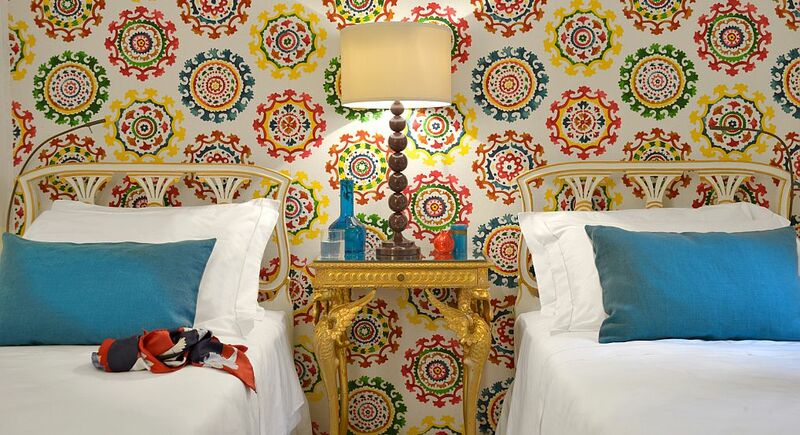 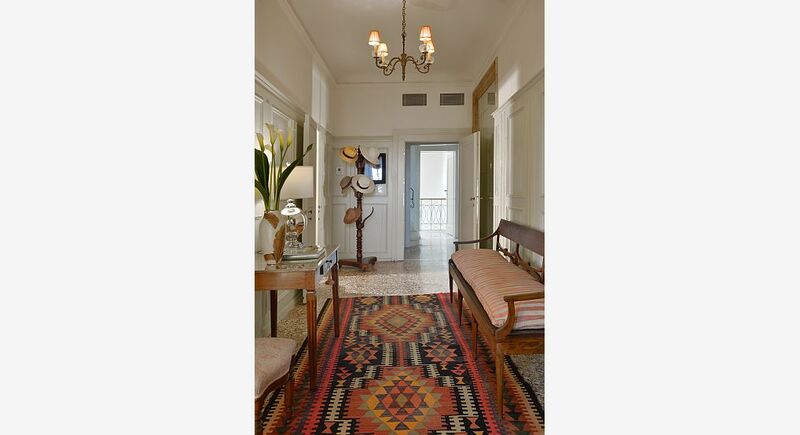 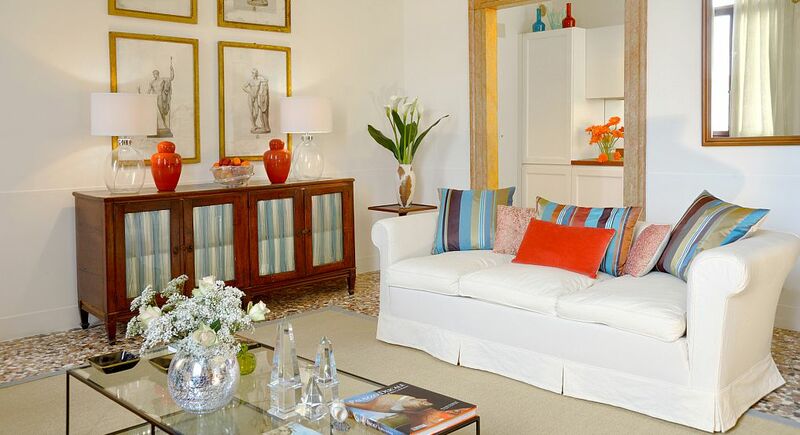 The apartment has been redecorated in a pure, classic style with a contemporary twist. 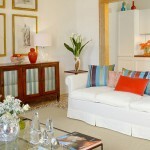 Surrounded by comfort and beauty, you will feel spoilt and privileged too. 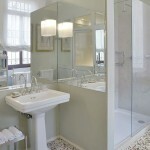 Daily maid service in the mornings. 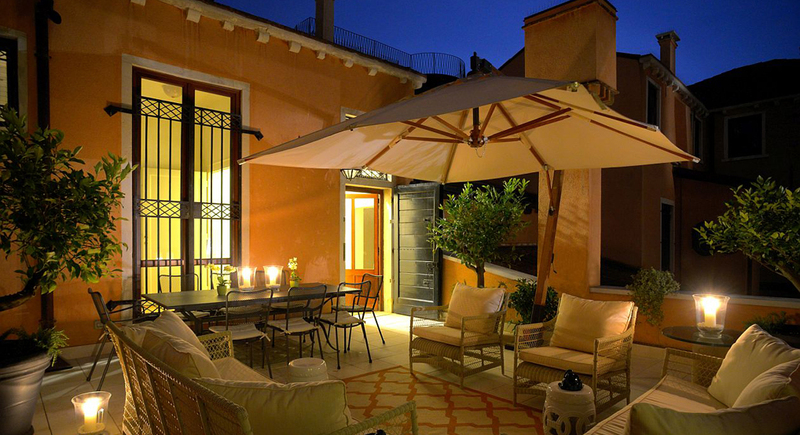 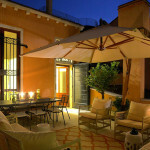 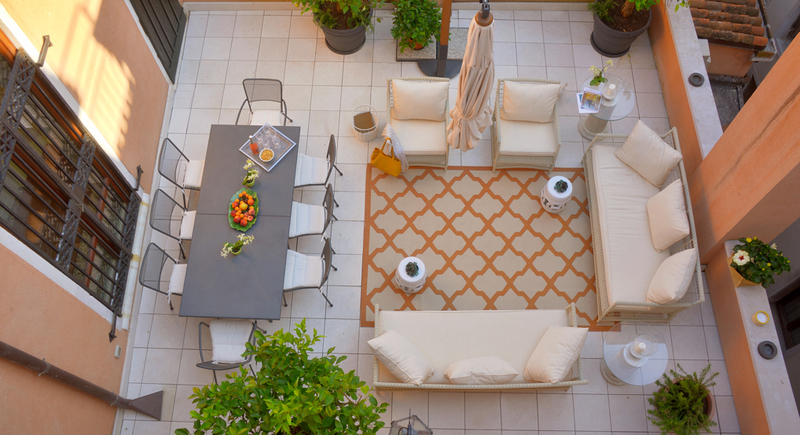 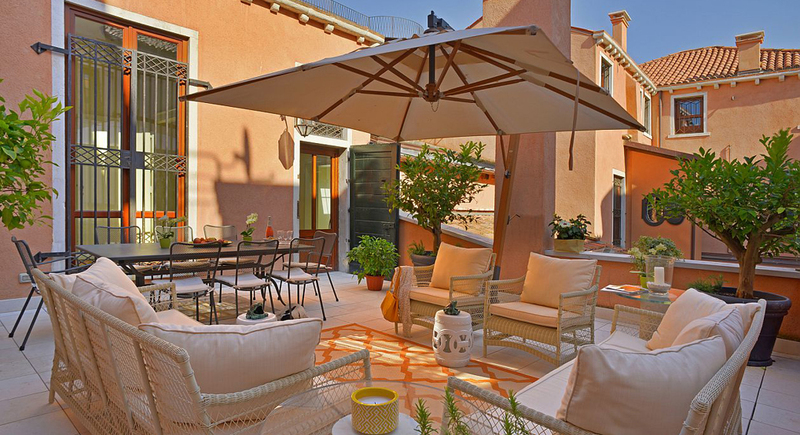 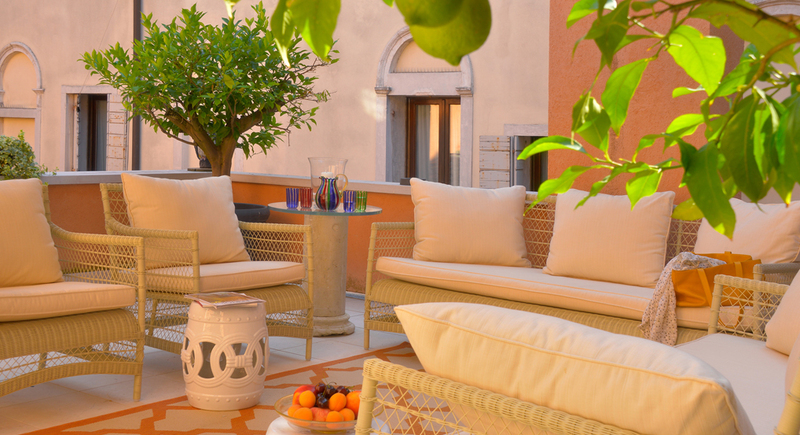 Access to a convivial terrace shared by all guests of the Palazzo. 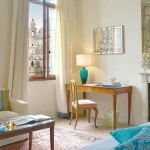 A private secretary. 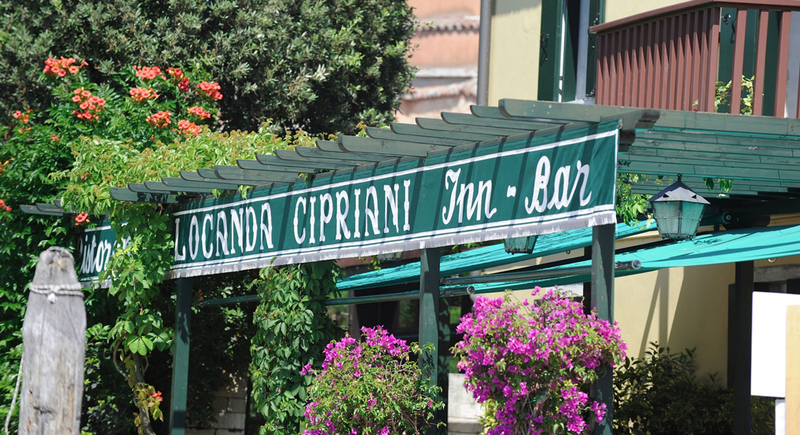 Restaurants and shops in the vicinity – among which the well-known Harry’s Bar, declared a national landmark in 2001 by the Italian Ministry for Cultural Affairs. 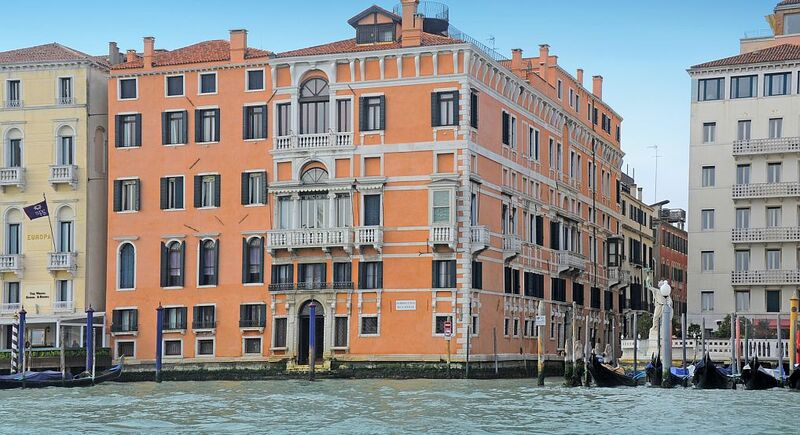 In the early 19th century, the Treves family, barons of Bonfili, acquired the residence and asked Giuseppe Borsato – an Italian painter who, among other things, decorated the Teatro La Fenice – to revamp and enhance their new property. 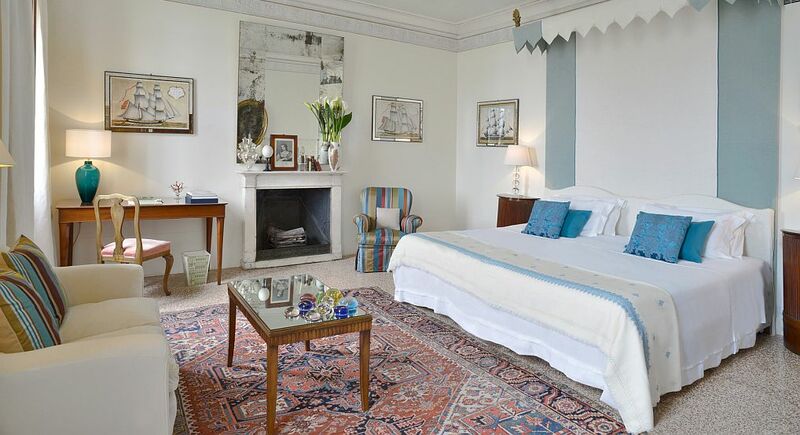 We were extremely happy and flattered when the owners of this outstanding residence chose at Trust&Travel to take care of the redecorating and promotion of its exceptional apartments. 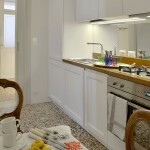 •	Air-con throughout the apartment included in the rent. 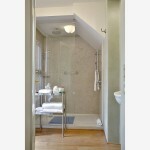 The house also has central heating. 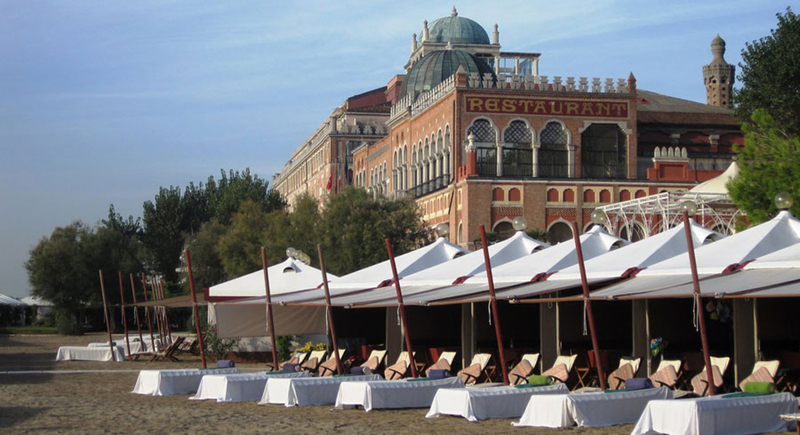 •	The Excelsior Beach Club, one of the most exclusive beach resort of the world. 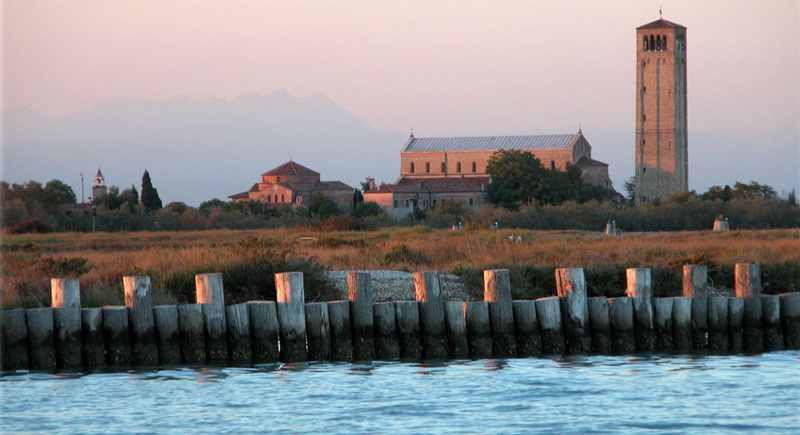 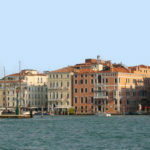 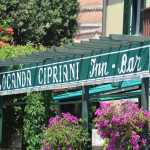 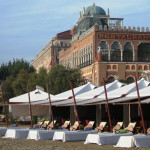 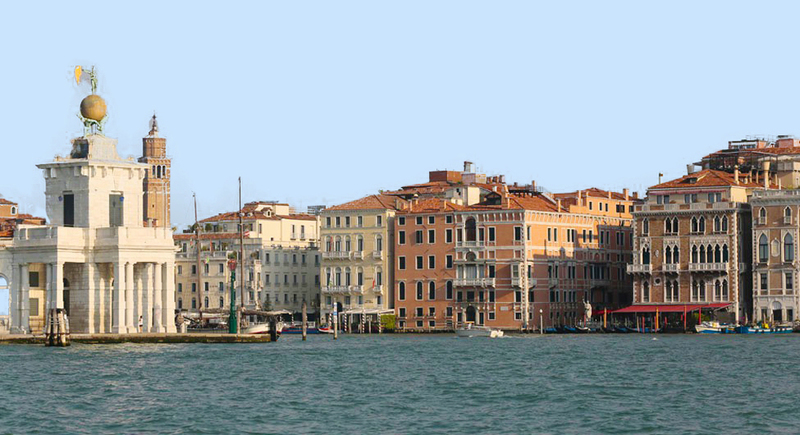 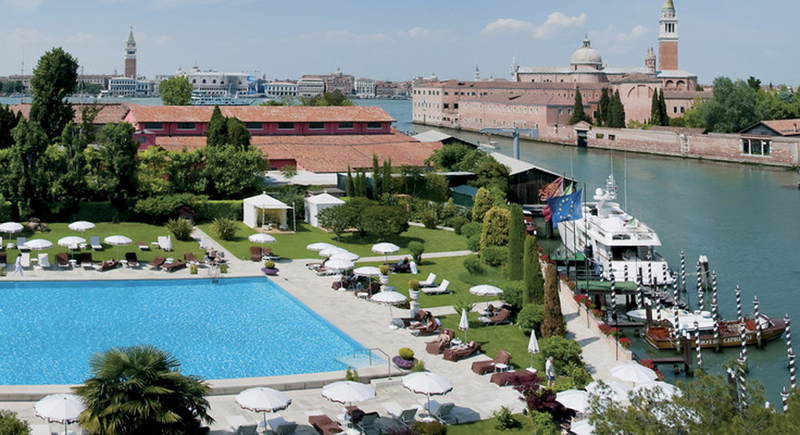 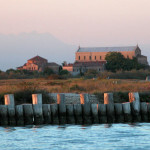 This resort, located on the Lido, can be easily reached in 15 minutes via water taxi or 20 minutes by vaporetto, 5,5km.